South Central Railway will introduce two new trains, Hyderabad-Vasco-Hyderabad Express and Tirupati-Vasco-Tirupati Express with effect from January 5. HYDERABAD: South Central Railway (SCR) will introduce two new trains_ Train No.17021/17022 Hyderabad-Vasco-Hyderabad Express and Train No.17419/17420 Tirupati-Vasco-Tirupati Express with effect from January 5. The inaugural services of the two trains will commence on December 29 with Union minister of railways Suresh Prabhu flagging off Train No.17419 Tirupati-Vasco Express at Tirupati. Train No.07419 Tirupati-Vasco Da Gama inaugural special train will depart from Tirupati at 17:10 hours on December 29 and arrive at Vasco Da Gama at 12:15 hours the next day. Train No.07021 Hyderabad-Vasco Da Gama inaugural special train will depart from Hyderabad at 15:00 hours on December 29 and arrive at Vasco Da Gama at 12:15 hours the next day. 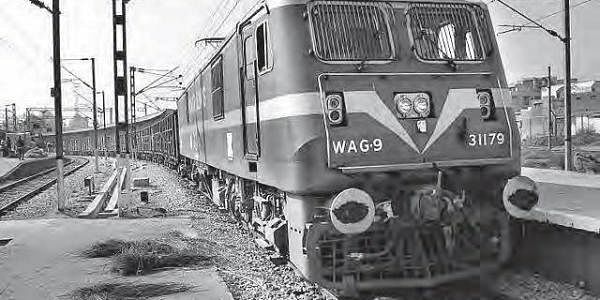 The two trains will amalgamate at Guntakal and run as a single train to Vasco. The 17021 Hyderabad-Vasco Da Gama Express will depart from Hyderabad at 09:20 hours every Thursday and reach Vasco Da Gama at 06:00 hours on the next day. In the opposite direction, Train 17022 Vasco Da Gama-Hyderabad Express will depart from Vasco Da Gama at 09:00 hours every Friday and arrive at Hyderabad at 07:40 hours on the next day. The trains will stop at Secunderabad, Kacheguda, Shadnagar, Mahbubnagar, Gadwal, Kurnool City, Dhone, Guntakal, Ballary, Thornagallu, Hospet, Munirabad, Koppal, Gadag, Annigeri, Hubballi, Dharwad, Alanavar, Londa, Castle Rock, Kulem, Sanverdem and Magaon stations. Train No.17419 Tirupati-Vasco Da Gama Express will leave Tirupati at 11:30 hours every Thursday and arrive at Vasco Da Gama at 06:00 hours on the next day. In the opposite direction, Train No.17420 Vasco Da Gama-Tirupati Express will leave Vasco Da Gama at 09:00 hours every Friday and reach Tirupati at 04:00 hours on the next day. The trains will stop at Renigunta, Koduru, Rajampet, Cuddapah, Yerraguntla, Muddanuru, Tadipatri, Gooty, Guntakal, Ballary, Hospet, Munirabad, Koppal, Gadag, Annigeri, Hubballi, Dharwad, Alanavar, Londa, Castle Rock, Kulem, Sanverdem and Magaon stations. Train 17419 Tirupati-Vasco and Train 17021 Hyderabad-Vasco will be amalgamated at Guntakal and will run as one train as Train 17419 from Guntakal to Vasco Da Gama. In return direction, Train 17420 will run as single train from Vasco till Guntakal and will split as Train 17420 Vasco-Tirupati and Train 17022 Vasco-Hyderabad expresses respectively.